To make matters worse, Ville-Évrard was in the occupied zone, which meant that the patients had insufficient rations. Stephen Barber points out that “in each of the final two years of Nazi Occupation, nearly half of the asylum’s inmates died” from starvation and related complications. Sylvère Lotringer explains that more generally that there were not many other treatments available at the time, and “no psychiatric pharmaceuticals available” so “psychiatrists simply let their patients waste away in overpopulated psychiatric units. The incurable ones were referred to as ‘asylum rot.’” Robert Desnos heard of Artaud’s institutionalization at Ville-Évrard and knew the conditions in the German occupied zone were life-threatening. Desnos petitioned a doctor friend, Gaston Ferdière, to get Artaud over the occupation line and into Ferdière’s hospital. 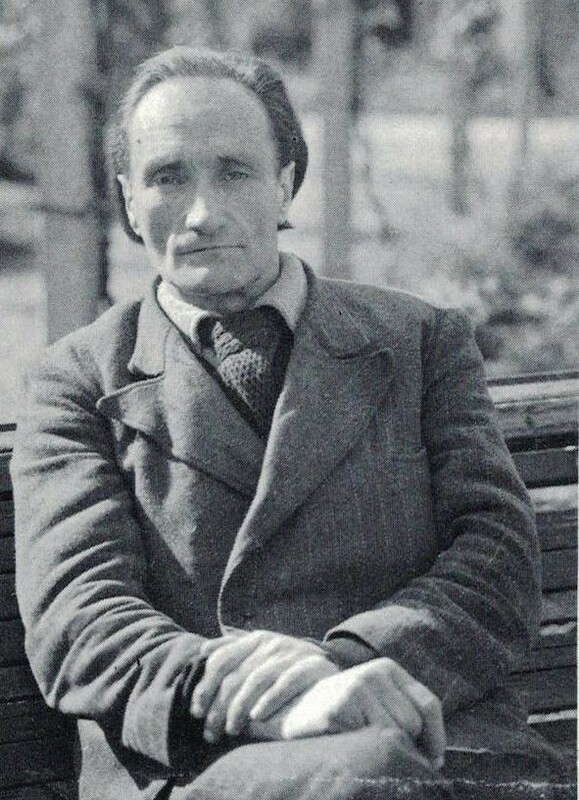 After administrative problems cropped up with moving Artaud to the Rodez asylum because it was in the free zone, Ferdière "hit upon a solution: Desnos and Artaud’s family would ask for his transfer to another institution within the German zone of occupation, but very near the demarcation line, the ‘rural’ mental asylum at Chézal-Benoît, of which Ferdière had previously been the medical director, and where he still had friends willing to help him. From there it would be easier to move Artaud across the demarcation line." The early days of electroshock therapy were brutal. By sending high concentrations of electricity into the body, many patients experienced unwanted side effects including, in Artaud’s case, a crushed vertebrae from violent convulsions. Given the horrific accounts of Artaud’s electroshock therapy, it’s difficult to side with Ferdière’s assertion that the treatment was an untempered success, though Artaud did begin writing again. He also took up drawing and created remarkable images which you can see here, here, and here. Most importantly for the discussion here, Artaud translated a section of Lewis Carroll’s Alice in Wonderland. These last years of his life, in fact, were his most prolific. Within a few years he was well enough to be released, and he passed the rest of his days—until 1948—just outside of Paris in an assisted facility. 1. Antonin Artaud, “No More Masterpieces,” translated by Mary Caroline Richards, The Theater and Its Double (New York: Grove Press, 1958), 77. 2. Antonin Artaud qtd. in Martin Esslin, Antonin Artaud, (New York: Penguin Modern Masters, 1976), 48-49. 3. Jacques Lacan qtd. David L. Goldman, “Theatre and Anti-Theatre of the Mouth, Part Two: Psychotic Glossolalia,” Canadian Journal of Psychoanalysis (2012) 20, 85-113. 5. Stephen Barber, The Anatomy of Cruelty: Antonin Artaud: Life and Works, (np: Sun Vision Press, 2013,) 100. 6. Stephen Barber, The Anatomy of Cruelty, 102. 7. Sylvère Lotringer, “Who Is Dr. Ferdière?” translated by Joanna Spinks, Mad Like Artaud, (Minneapolis: Univocal, 2003), 130. 8. Martin Esslin, Antonin Artaud, (New York: Penguin Modern Masters, 1976), 54. 9. In his defense of his practices, Ferdière states that he knew Artaud had to be institutionalized initially and he understood why. “Certes depuis le début je savais qu’on avait dû l’interner et je savais pourquoi.” Gaston Ferdière, “J’ai soigné Antonin Artaud,” La Tour De Feu, Cahier 112, Decembre 1971, 26. 10. Sylvère Lotringer, “Who Is Dr. Ferdière?”, 130. 11. Sylvère Lotringer, “The Good Soul of Rodez,” translated by Joanna Spinks, Mad Like Artaud, (Minneapolis: Univocal, 2003), 176.